Janzen's is committed to helping our clients Live Better Every Day. 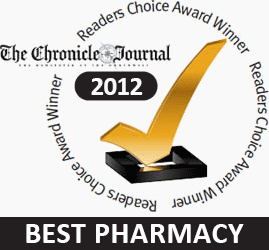 That commitment extends beyond the walls of our pharmacy, into our community and our clients' homes and businesses. We are committed to ensuring that our clients receive the appropriate medications and nutritional products - when they need them, at a fair price, with maximum convenience and minimal disruption. We'll do everything within our power to work with you to make sure that you can take your medications and supplements as prescribed.